Today is our last full day in Annecy and we’ve had such a wonderful time. The city is so beautiful and vibrant. 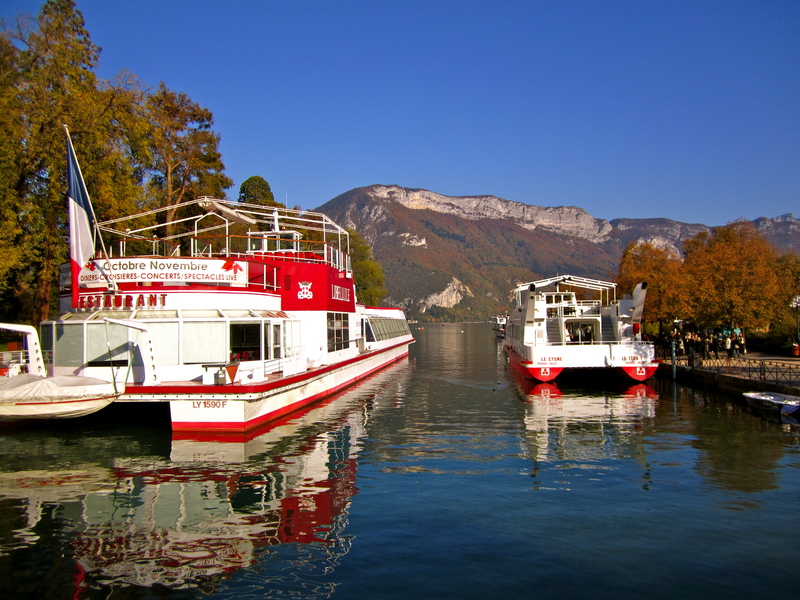 Our plan is to head back to the lake for a stroll and check out the boat tours. 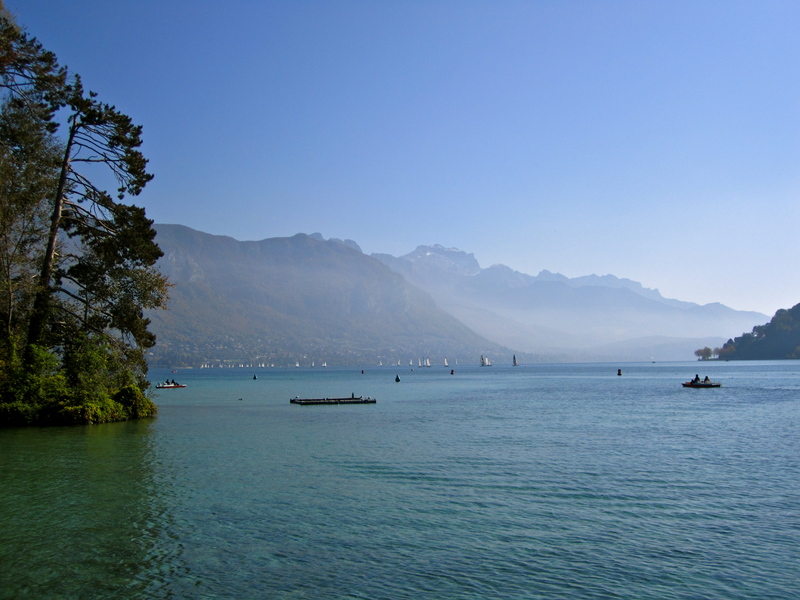 Lake Annecy is a part of a group of lakes starting with the largest in Geneva, Lac Léman. The crystal clear mountain water is just magnificent. To get the day started we headed downstairs for some breakfast. Of course I had my usual bread, cheese, meat and scrambled eggs. 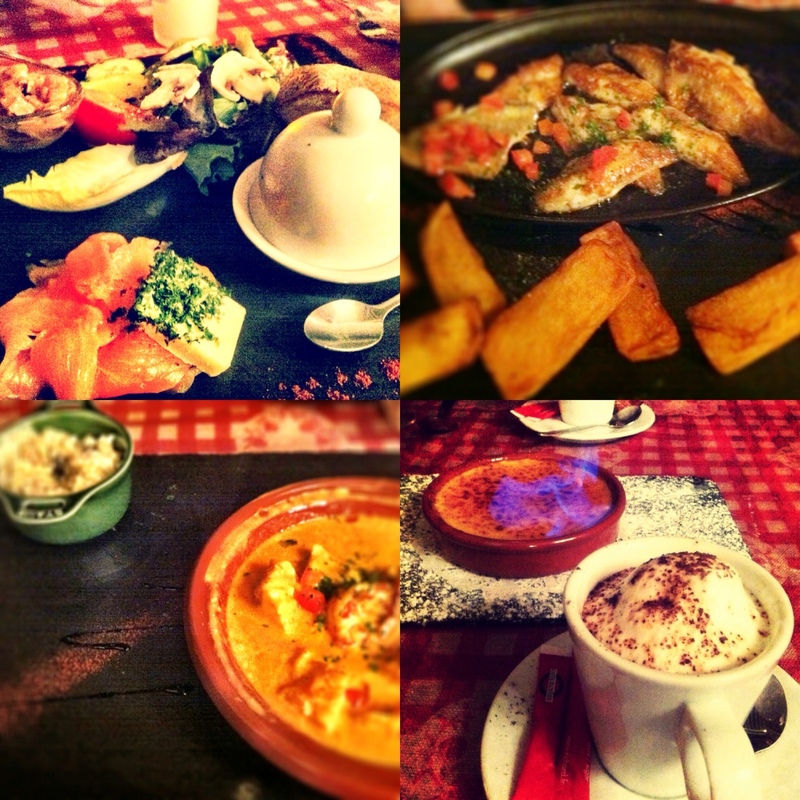 I definitely foresee lots of running in my future after feasting on all of this incredible French cuisine. We headed straight to the waterfront and took some more fabulous pictures. I’m sure the lake is amazing in the summertime. The waters are so inviting. We didn’t see any boat tours at the moment so we headed to the old town center for some ice cream. I don’t know if it’s the atmosphere or allure of being in another country but the ice cream in France is fantastic. We walked around with our mint chocolate chip and coconut ice cream before finally heading out on the lake. 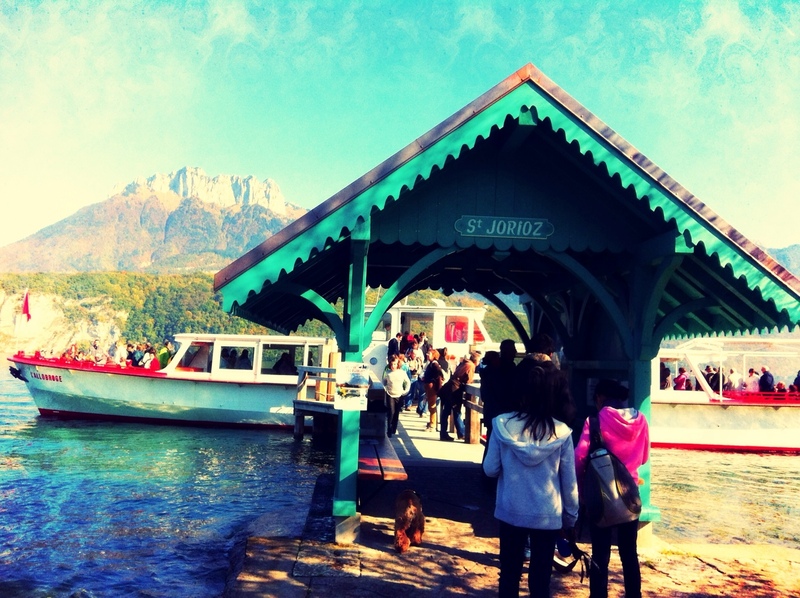 The boat took us to St. Jorioz about 20 minutes away from Annecy. It was a perfect day, a little windy on the water, but the sun was perfect for taking pictures. 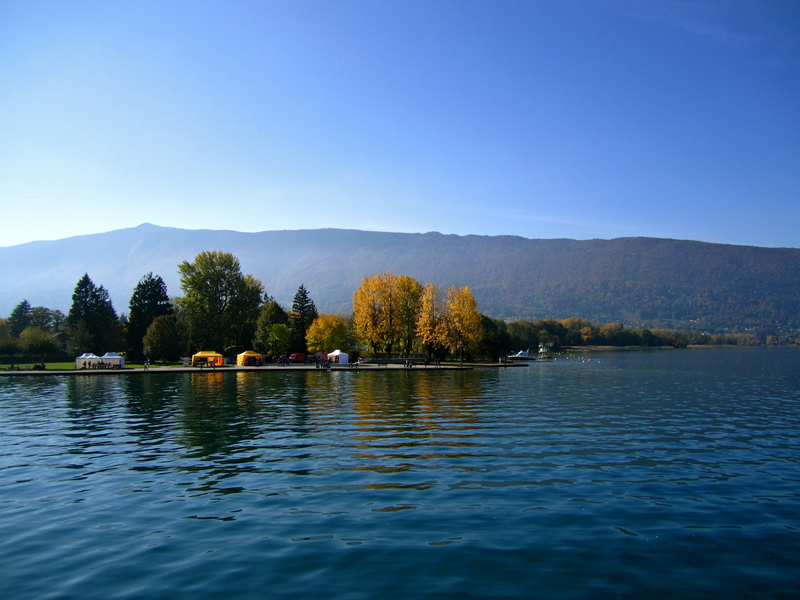 The mountains were gorgeous with their hill side homes and ancient chateaus overlooking the lake, and the foliage illuminated beautiful shades of gold, yellow, and red on the clear blue waters. 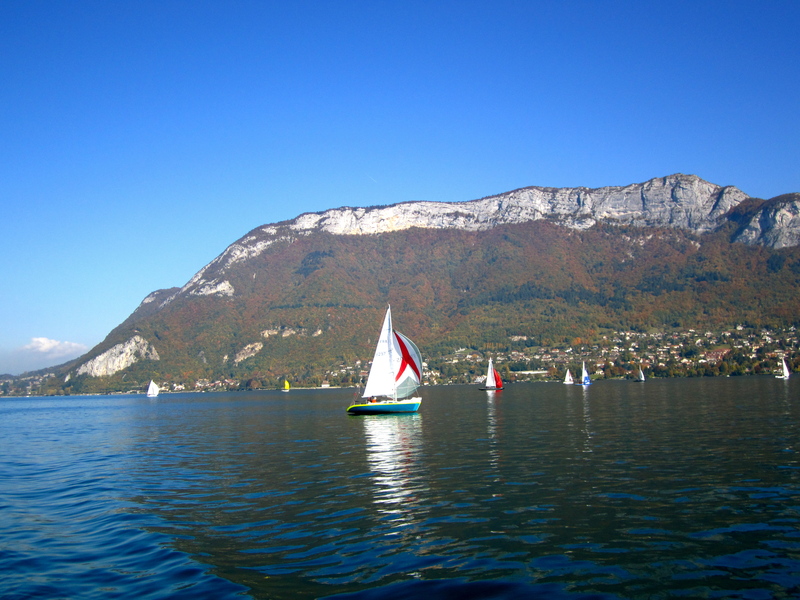 Boats lined the shores with colorful sails matching the different colors on the mountain side. It’s hard to describe how beautiful this place is! The tour was about 2.5 hours and incredibly relaxing…exactly what we needed today. After the boat tour we were ready for some lunch. 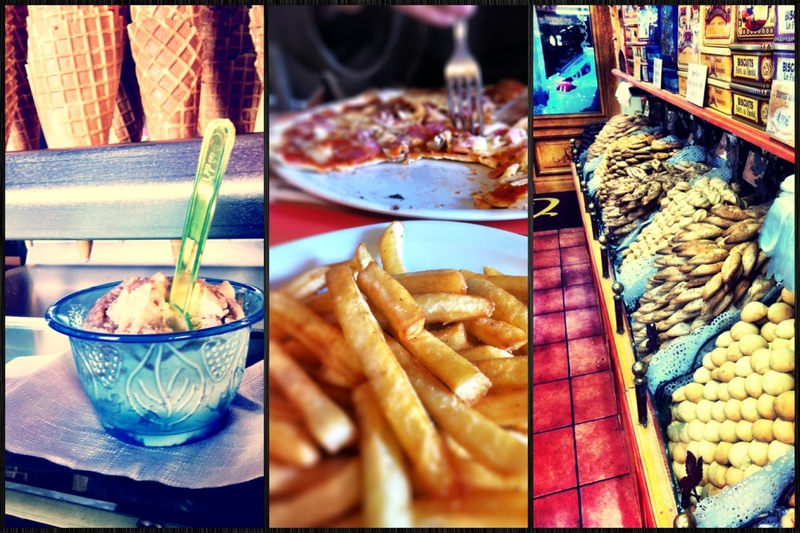 We headed back to Old Town to a local Brasserie for some pizza and fries. I am completely addicted to French Fries. Who doesn’t love fried potatoes dipped in ketchup, and in France they take it one step further and dip them in mayonnaise. If it doesn’t sound like your cup of tea you must try it!! It’s delicious and terrible for you but I’m loving every minute of it. After lunch we headed back to the town center for some shopping. Street after street is lined with the cutest stores. I could spend hours and all my money shopping in France. A few hours and some new outfits later we headed back to the hotel to get ready for dinner. On our way back we stopped in the cutest biscuit shop, La Cure Gourmande. There was every kind of biscuit and cookie you could ask for. So of course, we bought a bag. Tomorrow is a long travel day so we’ll need snacks. Les Recettes de Mamie Lise was the restaurant of choice for the evening. From the moment we walked in the door I felt like I was whisked away to an old French cottage. The decor reminded me of Julia Child, with warm candles filling the cottage atmosphere and old cookware plastered on the walls. 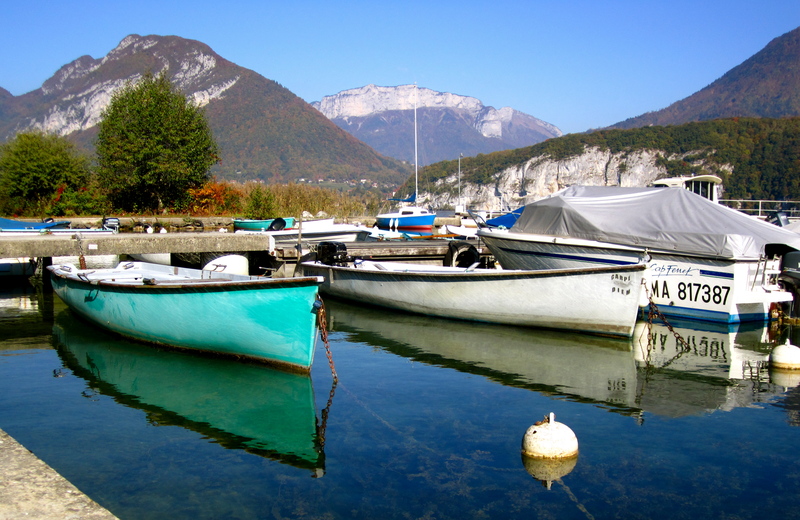 It was a perfect setting to end our time in Annecy. Every salmon dish we’ve had thus far has been phenomenal. The fish here is so fresh and not fishy at all. The starter salmon trio was no different…amazing. The beautiful tray was served with salmon marinated in a balsamic and olive oil sauce, smoked salmon served with herb butter, salmon sorbet, and a green salad with a delicious vinaigrette. The marinated and smoked salmon were divine, but the salmon sorbet was a bit too fishy. We were first introduced to salmon and sorbet in Beaune, but they served it with a fruity sorbet instead of actual sorbet with salmon mixed into it. Overall the appetizer was a success. My entree, the mixed seafood in a Lobster cream sauce, was outstanding. The fish was tender, the sauce was rich and creamy and the mushroom risotto was the best I’ve had. The rice was perfectly cooked and the earthy mushrooms lent so much flavor to the creamy dish. Matt’s dish wasn’t quite as successful. A lot of people enjoy fish skin, but we are not one of those people. Unfortunately his perch still had the skin on making it very fishy. The lemon vinaigrette it was sautéed in was delicious and the fries perfectly crisp. But the fish was just a bit too overbearing to enjoy. For dessert we went with the flambé Creme Brûlée. Magnifique!!! The beautiful flame made for a gorgeous presentation and the custard was creamy and delicious. We’ve yet to have a bad Creme Brûlée and I have a feeling it will stay that way for the rest of the trip. Our time in Annecy has been wonderful. The old unique streets and beautiful lake have made for a memorable last few days. 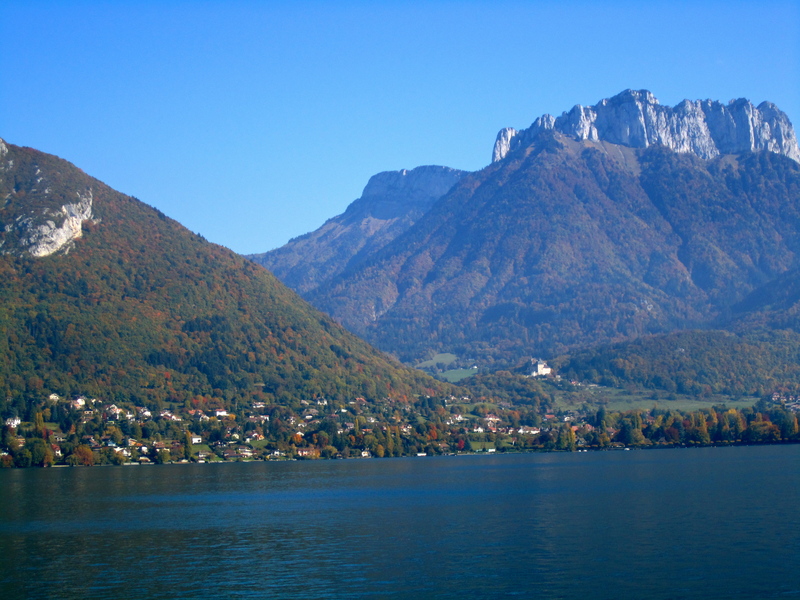 Tomorrow we leave the alps and head to the French Riviera, Nice. I can’t believe a week has already gone by. I’m looking forward to spending our last week in France exploring the different beautiful cities on the breathtaking waters of the Mediterranean. this is so testy foods i like it a lot.